CoolSculpting is an FDA-approved, non-surgical procedure that uses a handheld device to precisely freeze and destroy fat below the surface of the skin. 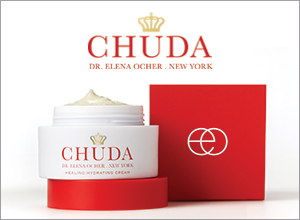 The treatment is not intended for significant weight loss, but for treating stubborn areas of fat resistant to diet and exercise. Common treatment areas include abs, love handles, back, arms, and under the chin. Since CoolSculpting uses intensely cold temperatures to crystallize and kill fat cells, you should not undergo the procedure if you suffer from cryoglobulinemia, paroxysmal cold hemoglobinuria, or cold agglutinin disease. Consult with a board-certified plastic surgeon or dermatologic surgeon to determine if CoolSculpting is right for you. How do I Choose a Doctor for CoolSculpting? Zeltiq, CoolSculpting's parent company, will only sell machines to medical professionals who have undergone specific training. That said, a physician is not the only one who can perform CoolSculpting. Nurses, nurse practitioners, and physician assistants may all manage a CoolSculpting treatment, with the appropriate training and under the supervision of a physician. Zeltiq also offers special certification for practices that have gone through advanced training sessions. 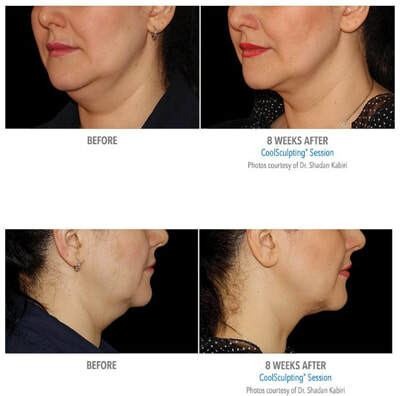 These CoolSculpting Certified Practices can be found on the company’s website. When you arrive for your procedure, a medical professional will review and mark the area(s) being treated. A protective gel pad is then placed on the surface of the skin and excess fat will be pinched into the CoolSculpting applicator. You should not feel pain, only some pressure and suction for the first few minutes of the treatment. After that, the target area will become numb to the cold. The treatment will last roughly 60 minutes, during which you can read, check email, watch a movie, or even nap. After the procedure is over, the treated area will be red and may appear as if there’s a “stick of butter”underneath the skin. This is the fat that’s been sucked up by the applicator. Your provider will massage the site, and the lump should quickly disappear. As this is a no-downtime procedure, you’ll be free to continue with your regular activities right away. In general, you can expect to gradually lose 20% to 30% of fat in the treated areas after one session. Most patients see noticeable results within three months, but some may see results in a few weeks. The treated fat cells are crystallized and turned into dead cells, after that, naturally processed and permanently eliminated by the body, eventually gets excreted through your urine. When performed by a qualified provider, CoolSculpting is very safe. Typical side effects include redness, minor bruising, tingling, numbness, or discomfort in the treated area. These are temporary and should resolve quickly. Some patients may experience more intense pain, particularly if they were treated with the largest applicator, for example with abdominal CoolSculpting. It can start three to five days after the procedure and lasts up to 10-12 days. This pain is nerve-based and is best treated with Neurontin. CoolSculpting and liposuction are both intended to be body contouring procedures, but the treatment that’s right for you depends on your situation and desired results.